Okay, so usually I post individually for the challenges I’m signing up for. This year, I’m just going to do one post. I have found four challenges for 2013. 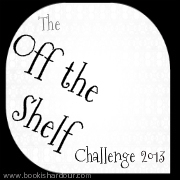 So I participated in the 2012 version of the Eclectic Reader Challenge – I failed at it, too. I decided to give it another go in 2013. The categories are different, so this ought to be fun. So I’ll be honest here – there are a few I know I’m going to struggle with (Urban Fantasy/Dystopian/LGBT) but who knows – maybe I’ll make it. Once again, this is another challenge that I participated in for 2012. And another one that I failed. The idea is to read books that have been on your shelves prior to 2013. I’m choosing to sign up for Making a Dint – 30 books. I have plenty of choices on my shelves, lol. The goal – read as many books after the first in a series that you choose. I think I want to read at least 5-7 sequels. 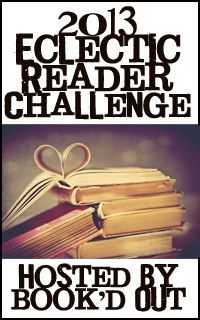 I just wanted to stop by and welcome you to the Eclectic Reader Challenge and wish you good luck!